Bell Labs, an academic paradise? Those of you who are well-versed in the history of science and technology have probably heard of Bell Labs, especially if you’re an electrical engineering student like me. For most of the 20th century, Bell Labs was firmly positioned at the cutting edge of technological innovation — so much so that one might even say that it was the cutting edge. You don’t have to take my word for it; just scan through a list of its 10 most important innovations. Recognize any of them? I bring this up because last weekend, the New York Times ran a fascinating article about the legendary institution. The author, Jon Gertner, argues that Bell Labs embodied an organizational model for innovation that is different and in some ways better than today’s model (Bell Labs is no longer active in the basic sciences). Whereas today’s “innovative” companies are set up to churn out incrementally differentiated consumer products faster than their competitors (Gertner is pointing at you, app developers), Bell Labs was set up to achieve the types of huge technological leaps that required years or decades of concentrated efforts by the world’s top scientists. Much of what we perceive as modern technological progress really stems from these great advances. Gertner stops short of arguing that Bell Labs should be restored to its former glory. The unique condition that allowed for Bell Labs’ existence — namely, AT&T’s telecommunications monopoly — is undesirable and was never good for consumers. But he points out that the key features that made Bell Labs so successful, like the extreme level of autonomy that was given to scientists working there, need not die along with the institution that started it all. Bell Labs’ track record in the applied sciences was a testament to its organizational model, and that is something that can be recreated in today’s institutions. Many former Bell Labs employees (including my own PhD adviser) went on to become university professors at UC Berkeley and elsewhere. Over the years, I have heard a variety of first-person perspectives on the Bell Labs approach to innovation. Some, like former LBL director Steve Chu, found the work environment to be “practically perfect in every way”. Others found it to be highly politicized and cutthroat. To them, Bell Labs’ low point, the Hendrik Schön scandal, was an atypical but unsurprising result of its culture of competition. It makes sense that among super-smart and ambitious scientists trying to one-up each other, one or two of them would cross an ethical line. But while the lasting impressions Bell Labs left on its former employees differ, those who worked there agree that their experience there was unlike any other workplace they have been in before or since. 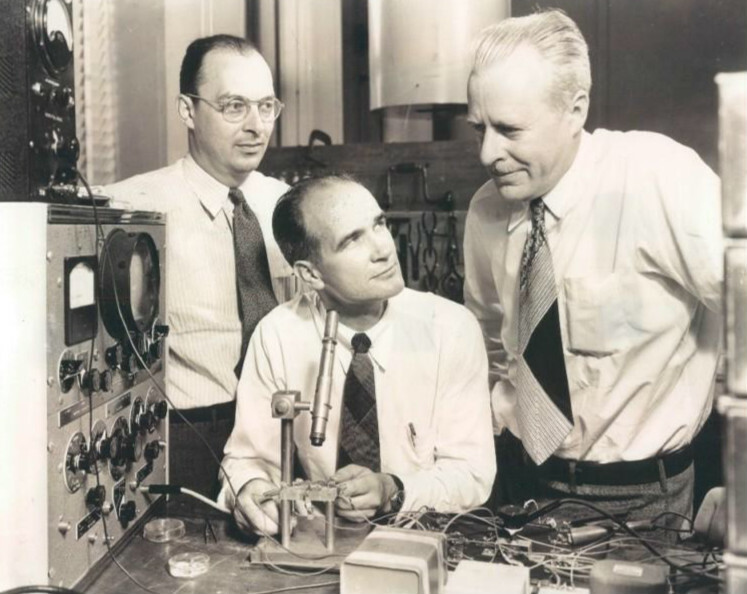 From a graduate student’s perspective, Bell Labs had another significance. On the spectrum of job opportunities available to engineering and physics PhD’s upon graduation, Bell Labs was the Harvard of Harvards. It was the place where the highest performing students went to work side-by-side with their peers and where, unlike a university, they had no teaching or fundraising responsibilities to distract them from their research. Today, top scientists with bold research ideas have few options but to drift apart from one another after finishing school and build up laboratories from scratch. Recent high-achieving Cal graduates I know have ended up as far away as MIT and University of Illinois and as close by as Stanford and LBL. In a different era, these graduates could have congregated at Bell Labs with their ideas and hit the ground running, accomplishing spectacular feats in a short amount of time by leveraging the unparalleled academic resources available to them there. Policymakers and scientific administrators frequently promote an entrepreneurial spirit among our top PhD graduates as a means of building on the Silicon Valley model of fast-paced innovation. Gertner brings to light how unfortunate it is that a Bell Labs-like experience is no longer an option for those who prefer a more leisurely approach. Very insightful post, Brian! Your use of the word “academic” to describe Bell Labs made me think… Maybe we don’t appreciate enough the connection between innovation and scholarship, if this place that produced so much real-world progress can be called an academy. Thanks! I think you’re right — we’re so accustomed to linking innovation to entrepreneurship that we forget that the “academic” approach to innovation has historically yielded great fruits as well. Great minds sitting around answering fundamental questions have rarely failed to bring about technological progress. Bell Laboratories was an amazing place! I worked there for almost twenty years and it basically ruined me for working elsewhere as I will never have the quality of peers that I had in Area 11! Where else can I have lunch with a dozen fellow crystalgrowers and the folks that developed x-ray kinematical theory, and thin-film mechanics on a daily basis! But it was hard, and it was competitive, and often just as you crossed the finish line on a multiyear project that your Director checked on every day, they would throw a new challenge along the lines of “spin straw into gold” at your feet, and ignore the recent achievement on their last project! The end of AT&T & then Lucent in the late 90’s was very tough as resources shrank and everything was product oriented. It was hard to admit it was over but it was. The early retirements of the 80s filled the academic ranks with our fellow MTS’s, so in the 90’s the rest of us who left were faced with wandering the earth and spreading our disciple of doing R&D faster than possible and holding our new colleagues to standards they can never meet! It was the best experience ever being an MTS in Area 11 at Murray Hill, but the step down from there to what passes for reality has been extremely hard!